Live in luxurious splendor in Miami?? ?s newest & most exclusive waterfront development surrounded by 5 acres of Private gardens by Enzo Enea facing Biscayne Bay. 2 bed 2 bath + den corner unit with 10 FT ceilings, porcelain floors, master w/walk in closet, his & her vanity & showers. Chef Kitchen with island & Wolf & Sub-Zero appliances custom designed by W. Sofield. 2nd bedroom has its own bathroom with its own balcony. Located in The Club Residences Tower of Park Grove. 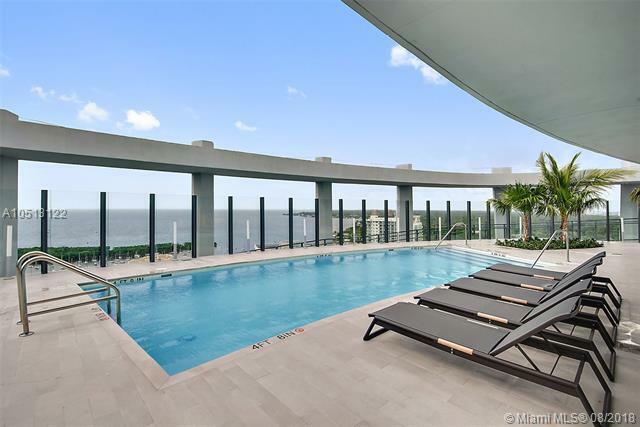 Enjoy private rooftop pool and 500 Ft of Bayfront pools. Amenities designed by OMA REM KOOLHASS and curated by COLIN COWIE include 28 seat private screening room, state of the art gyms, Yoga, outdoor amphitheater, children areas, a signature spa. Outdoor bar with poolside service. Michael Shwartz restaurant coming soon.